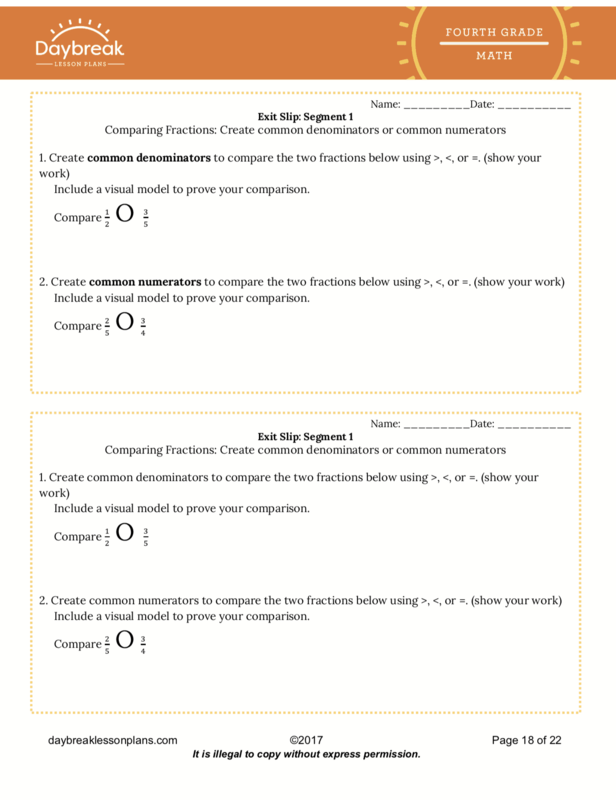 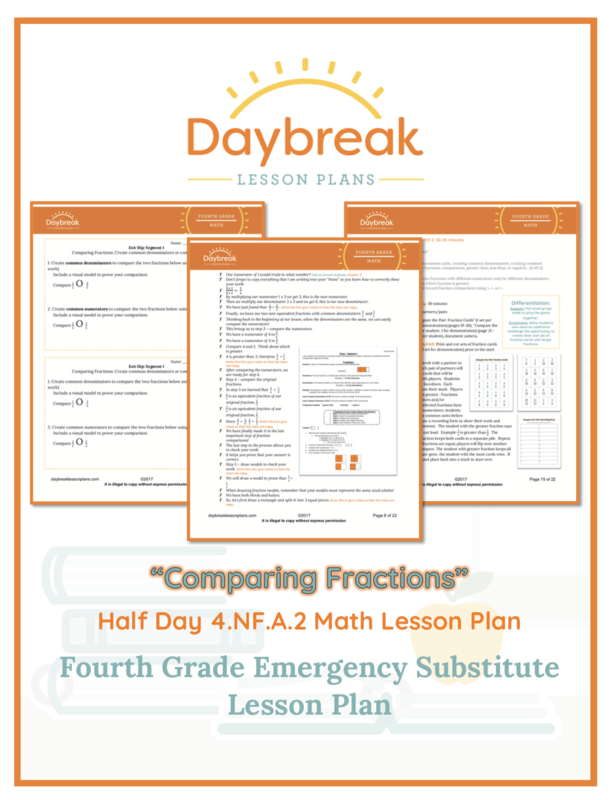 Description: This half day lesson plan is broken down into 2 separate segments (30-60 minutes each) addressing Numbers in Operations-Fractions: comparing fractions (4.NF.A.2). 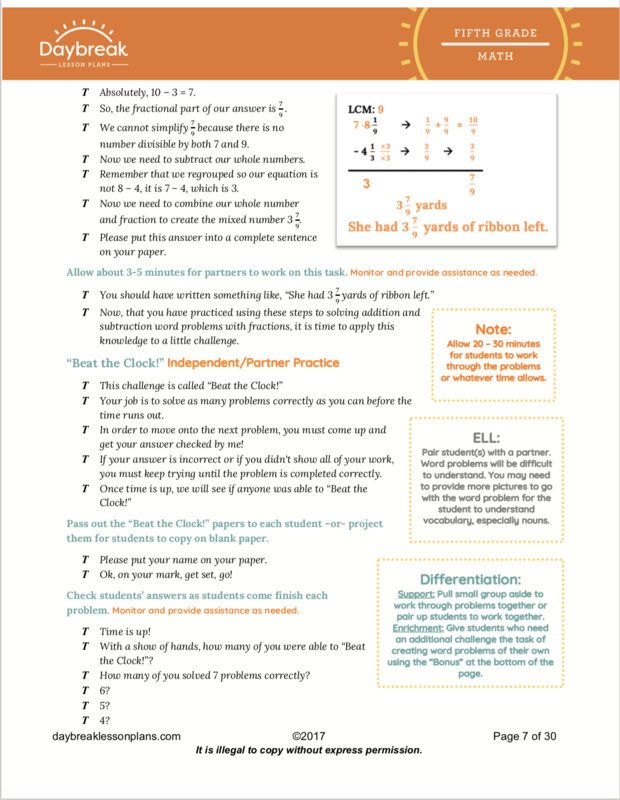 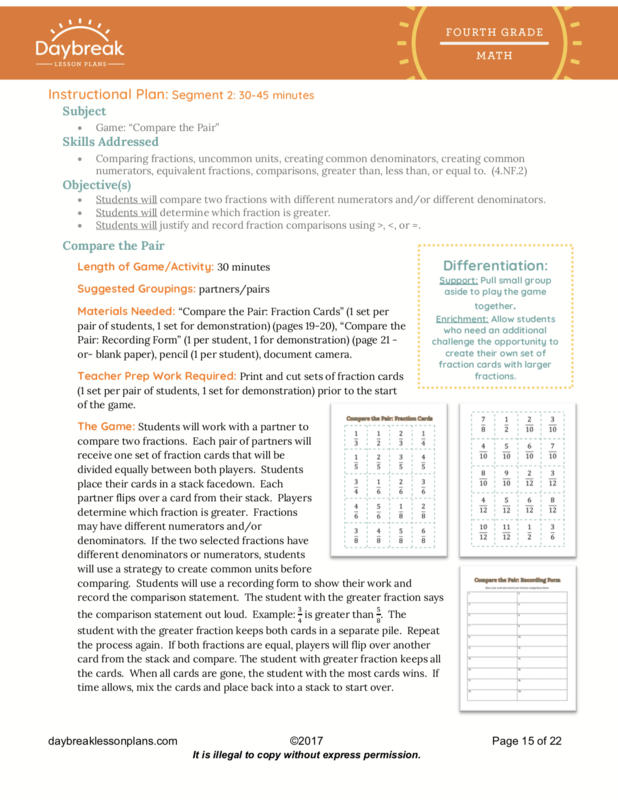 These lessons include: key fraction vocabulary, helpful student notes for reference, guided and independent practice of concepts, and a game to reinforce the concept of comparing fractions with unlike denominators. 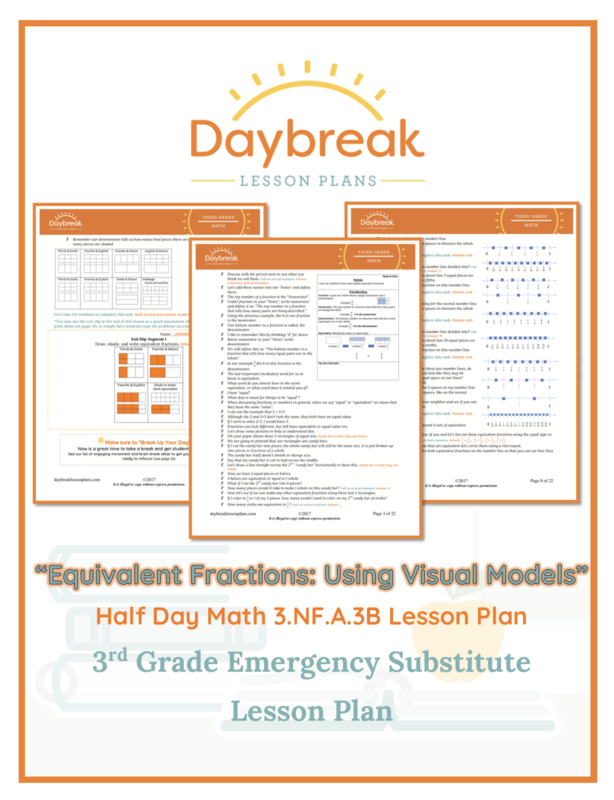 Description: This Fifth Grade, fully scripted half day of Math lesson plans is broken up into 3 separate segments (30-60 minutes each). 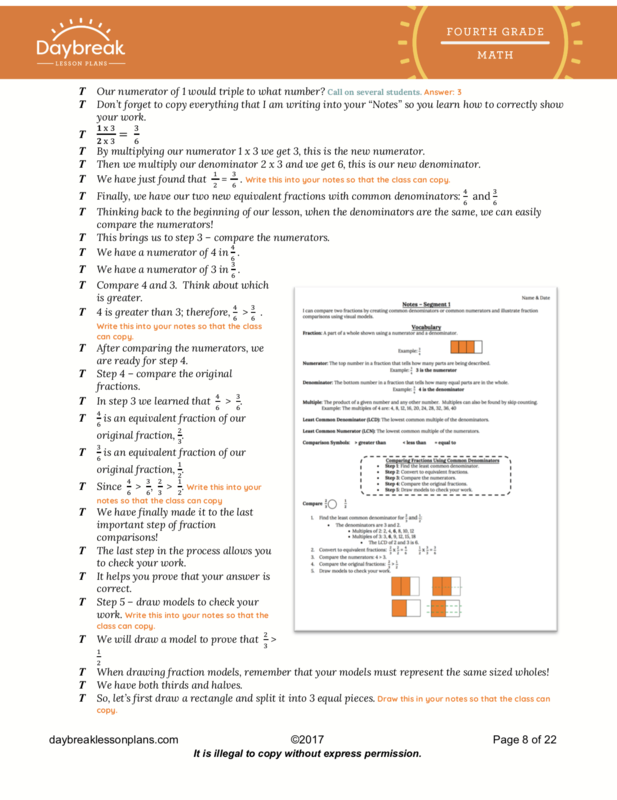 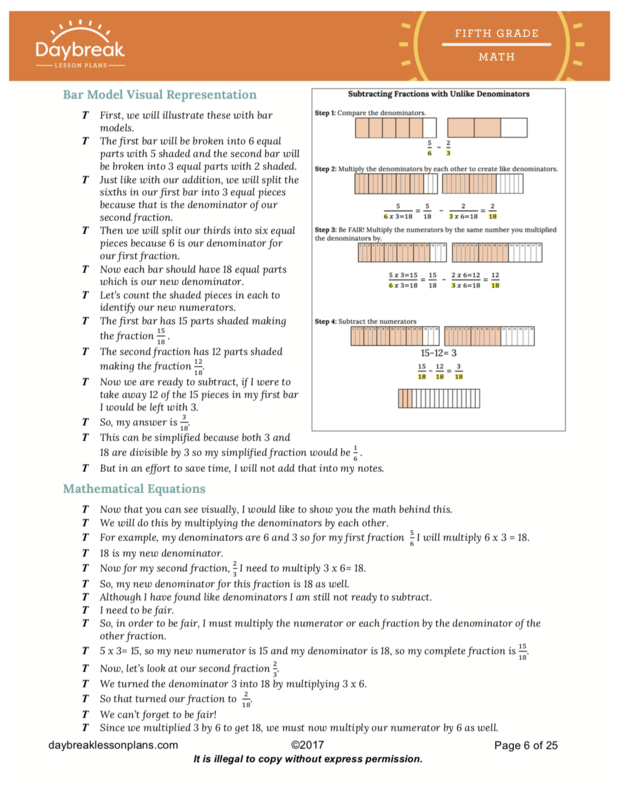 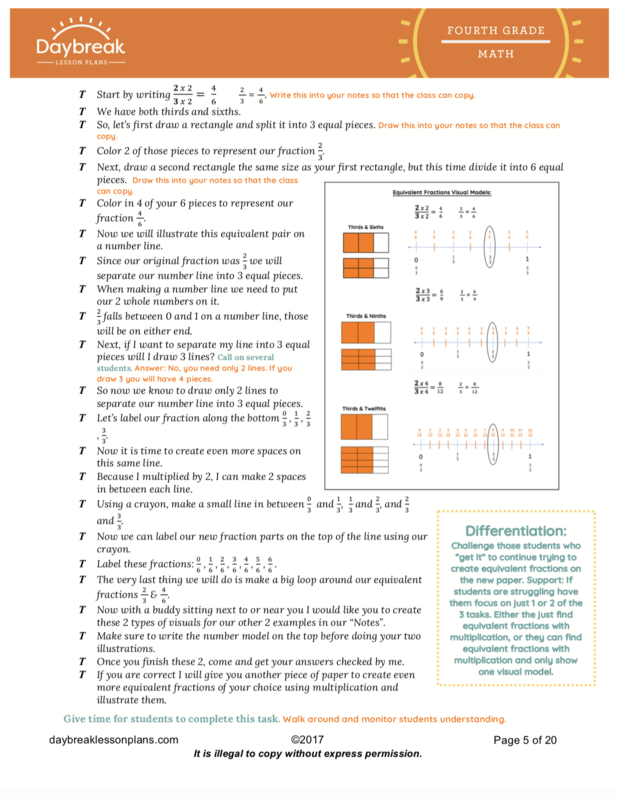 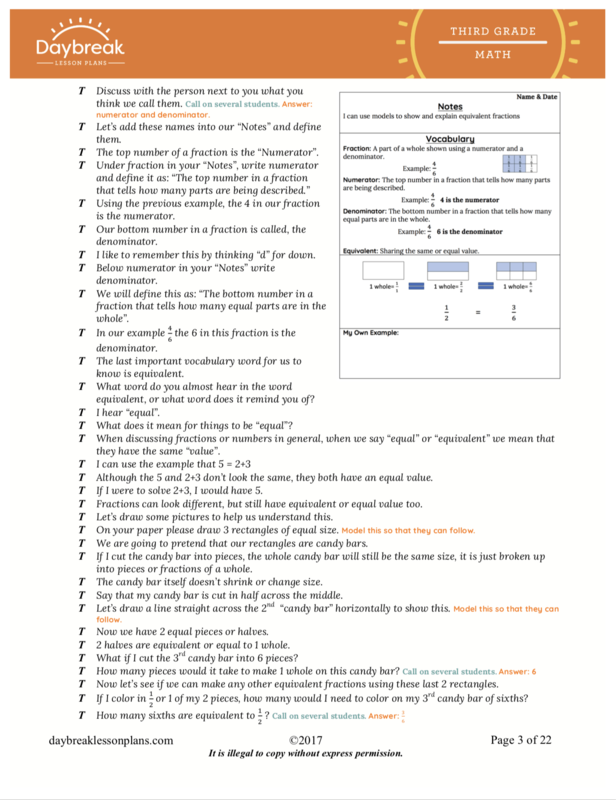 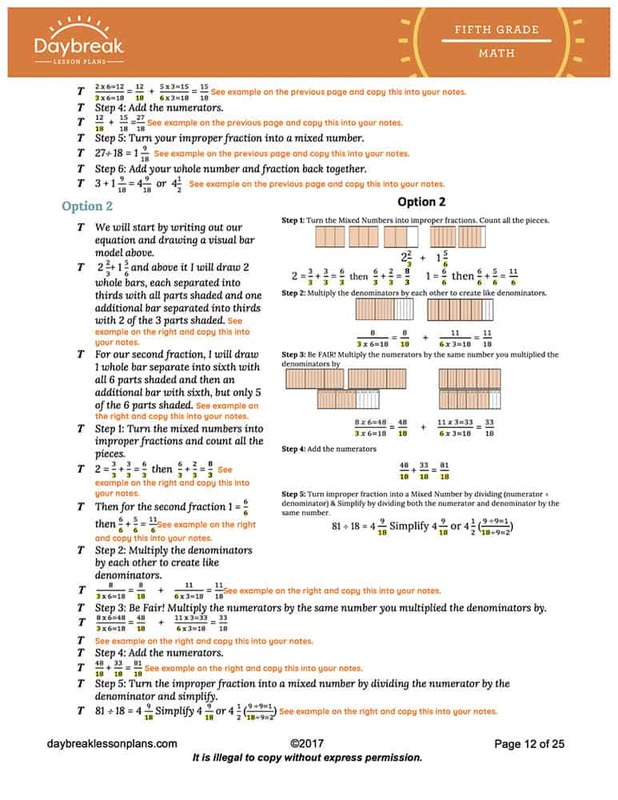 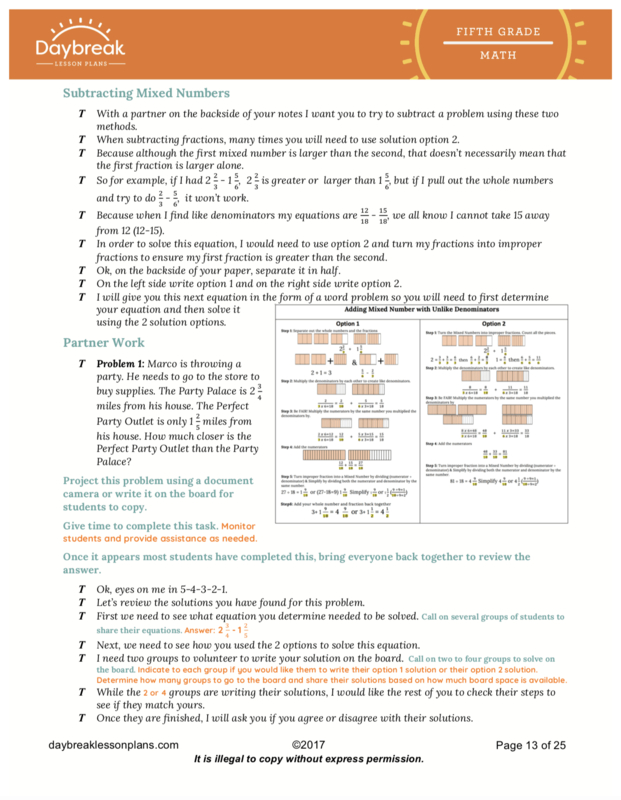 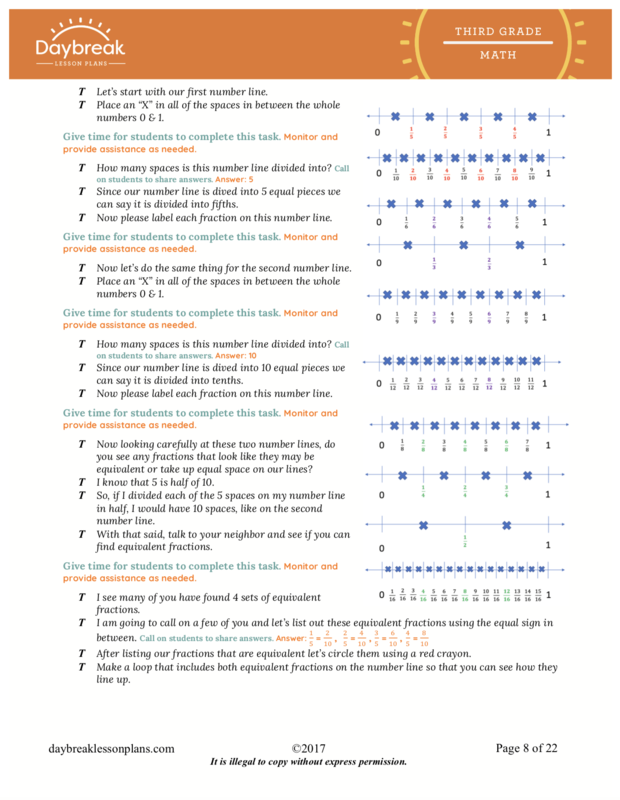 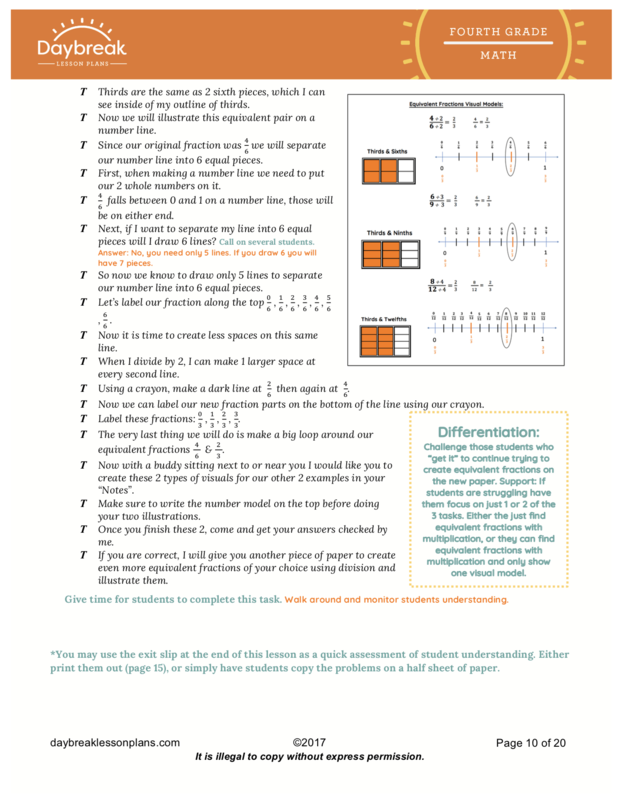 These lessons address Numbers and Operations- Fractions: adding and subtracting fractions and mixed numbers with unlike denominators (5.NF.A1). 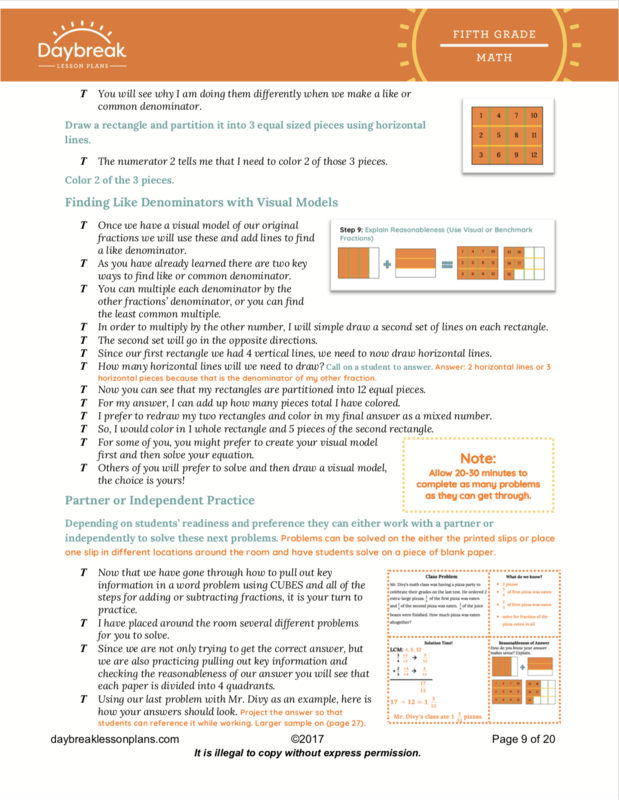 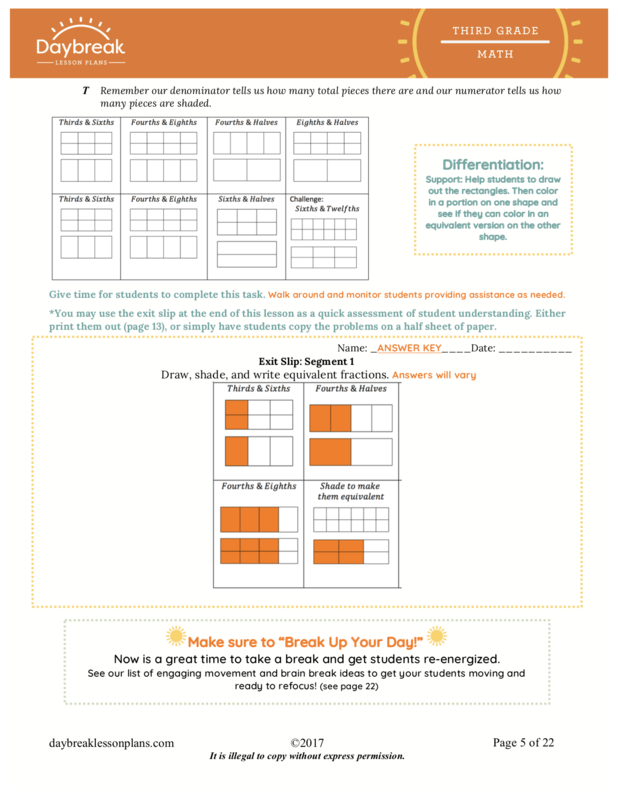 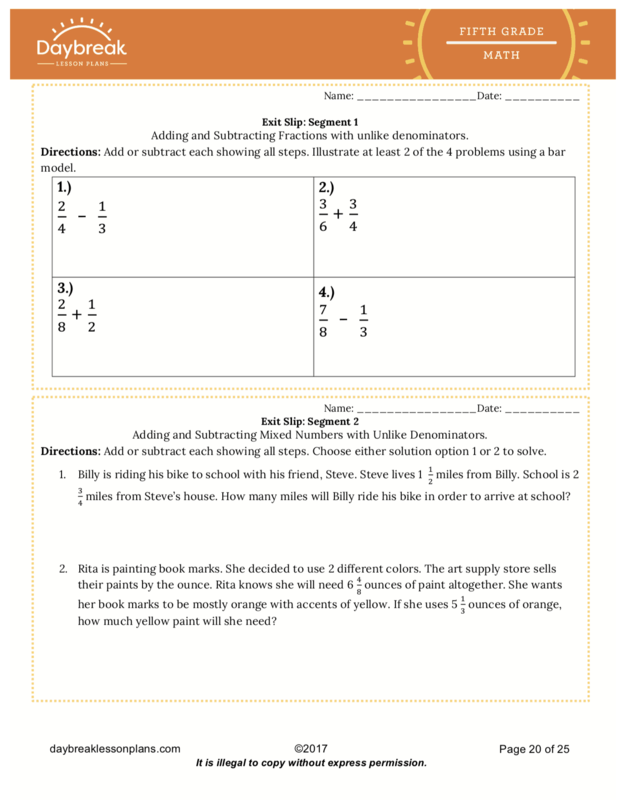 Students will learn key fraction vocabulary, take helpful notes for reference, complete independent practice of concepts, and play a game to reinforce the concept of adding and subtracting fractions with unlike denominators. 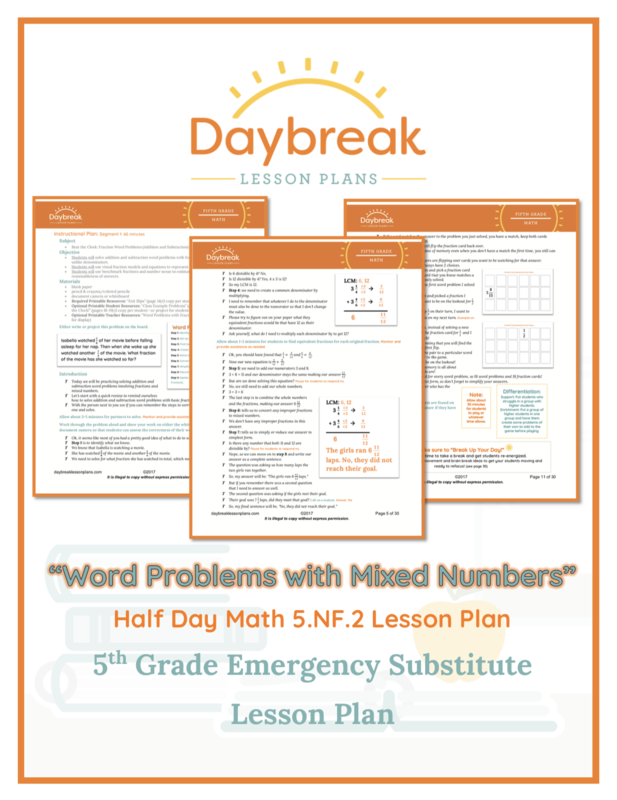 Description: This whole day bundle contains: Fifth Grade half day of ELA lesson plans containing 4 independent lessons based around analysis of photographs and 2 Informational texts. 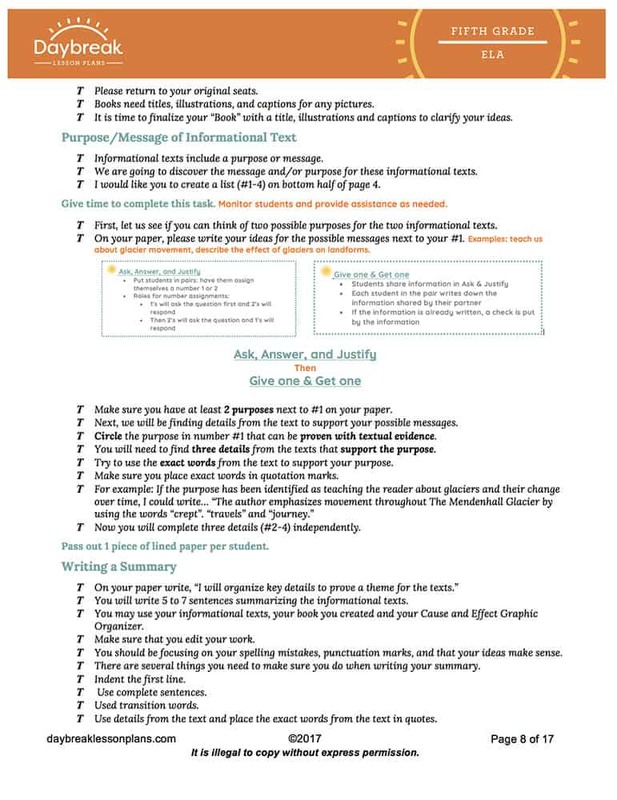 These lessons include: close reading comprehension techniques, creation of a book, writing a summary, science connection activity, and writing a Haiku poem. 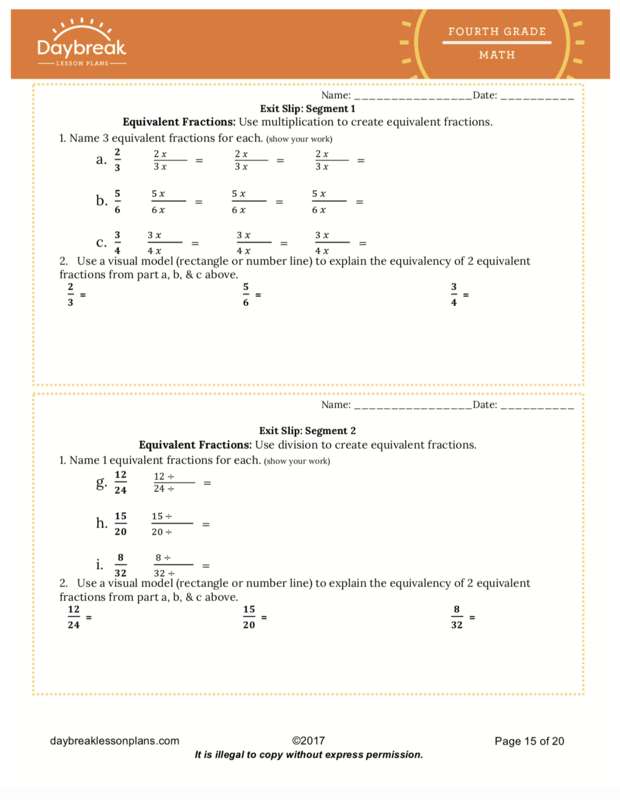 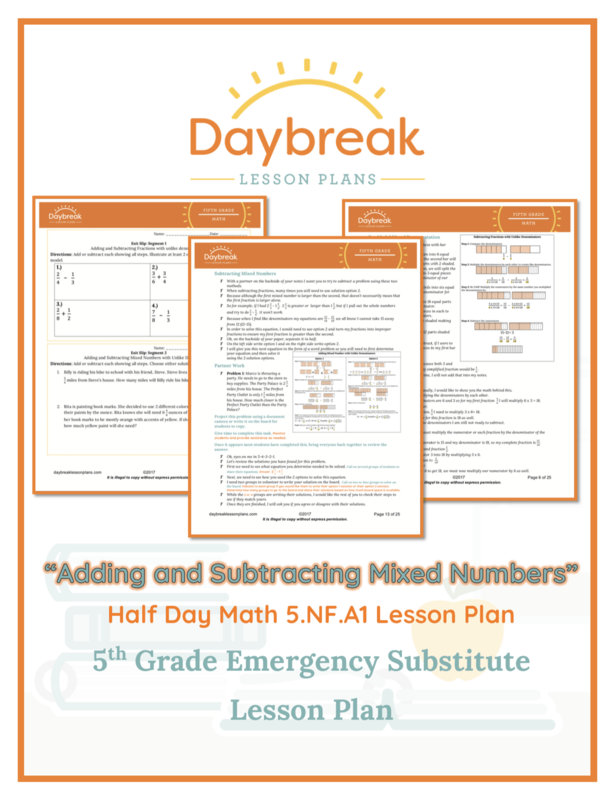 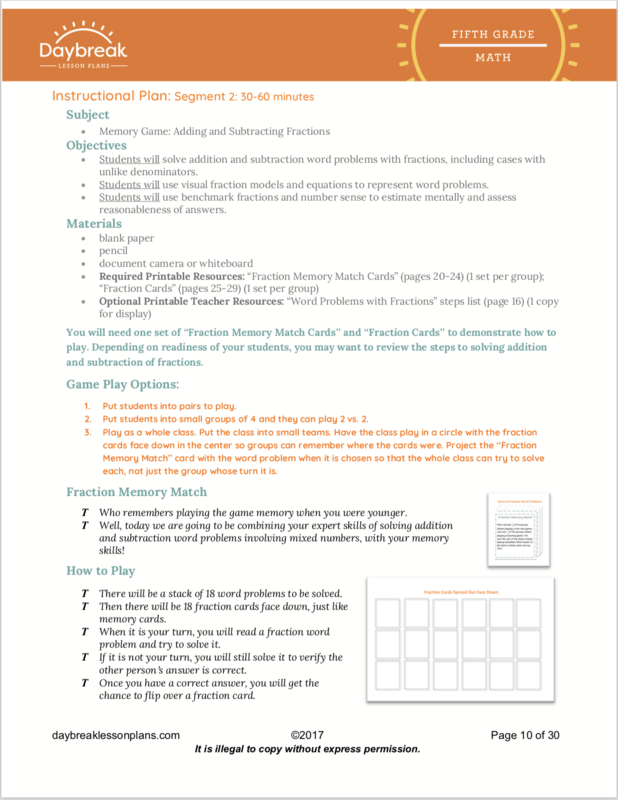 Fifth Grade half day of math lesson plans containing 3 separate segments (30-60 minutes each) addressing Numbers and Operations- Fractions: adding and subtracting fractions and mixed numbers unlike denominators. 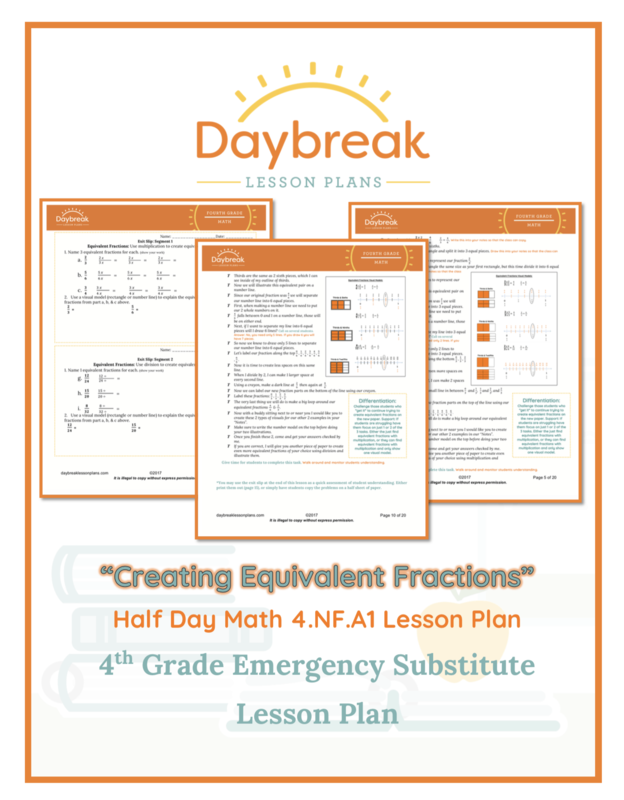 These lessons include: key fraction vocabulary, helpful student notes for reference, guided and independent practice of concepts, and a game to reinforce the concept of adding and subtracting fractions with unlike denominators.